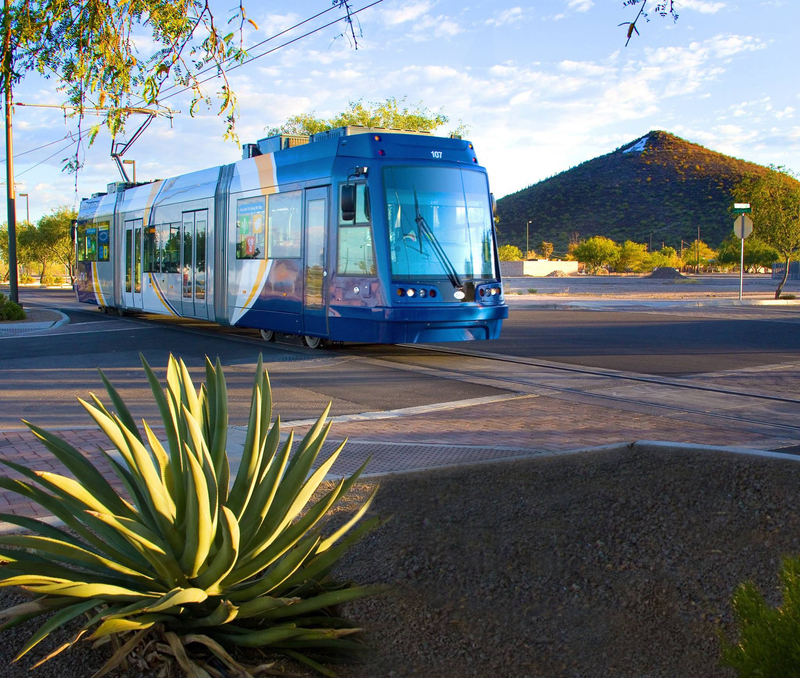 The 10th Annual Streetcar Summit will be held February 24 - 26, 2019 at the Marriott University Park Hotel in Tucson, Arizona. Come hear from fellow Streetcar project sponsors and consultants on a variety of topics. This year's agenda was again decided upon by the membership of the Community Streetcar Coalition. Registration is $150 for Coalition Members and $400 for non-members as of February 5, 2019. The Coalition is organizing an additional tour at the 2019 Summit of streetcar construction in Tempe, Arizona on Wednesday, February 27, 2019. Only 30 spots are available on this tour. Registration for the tour is $30 for all attendees. 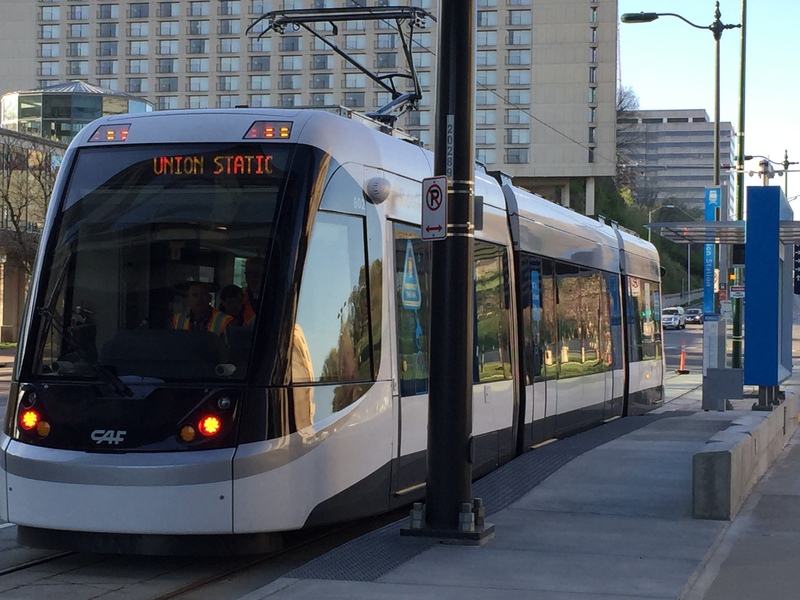 Sponsorship opportunities are now available for the Streetcar Summit. Learn more about the benefits for Platinum, Gold, Silver and Bronze sponsorships and pay online! 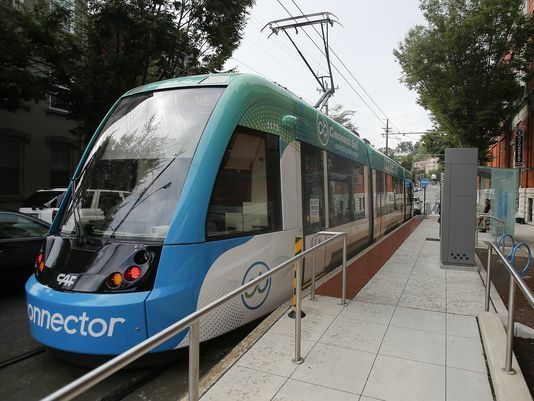 The City of Cincinnati and the Southwest Ohio Regional Transit Authority celebrated the Grand Opening of the Cincinnati Bell Connector Streetcar on September 9, 2016. Everyone at the Community Streetcar Coalition sends our well wishes and congratulations to the project team and supporters. Read more in the Letter to the Editor by our Chairman DJ Baxter published at Cincinnati.com. To learn more about the Cincinnati Bell Connector visit www.cincinnati-oh.gov/streetcar/. Members Kansas City, Kansas City Area Transit Authority and Kansas City Streetcar Authority celebrated the Grand Opening of the Kansas City Streetcar on May 6, 2016. Since then they have had over 360,000 riders! To learn more visit www.kcstreetcar.org. 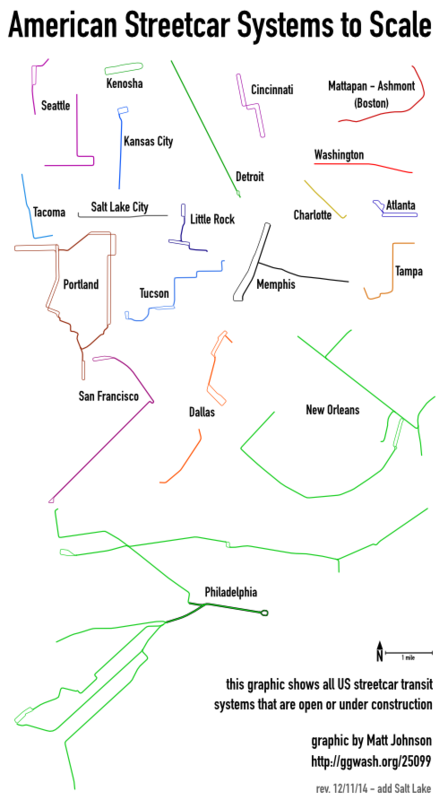 Thank you to all who attended the 6th Annual Streetcar Summit March 17-19 in Washington, DC. With nearly 100 attendees, it was the largest Summit to date and, by all accounts, the most successful. 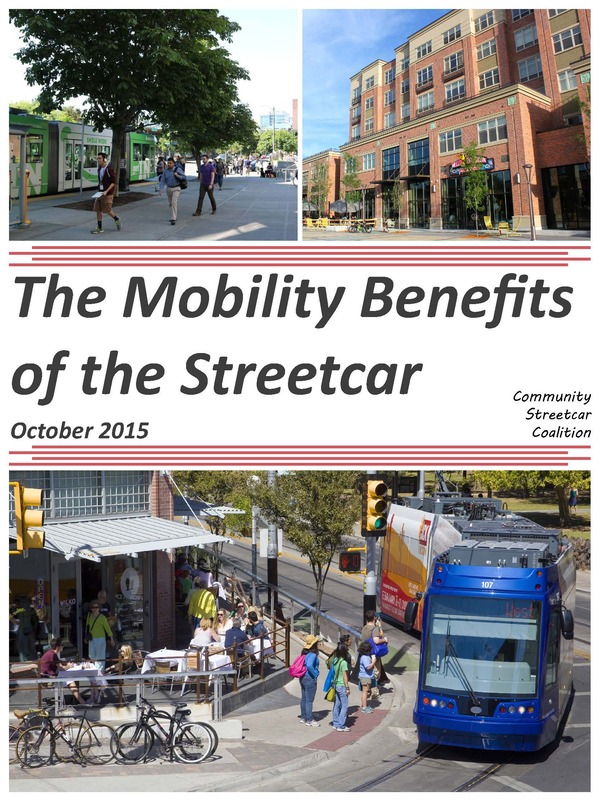 For all Community Streetcar Coalition Members, many of the presentations and a digital copy of the Summit Book are available in the Forums section of this website in the Documents forum. Just log in for access. December 2, 2014 – Shellie Ginn, Program Administrator for the Tucson Streetcar was interviewed on NPR's "Here & Now". The discussion delved deep into the newest Modern Streetcar project which opened July 25, 2014 which is experiencing higher than anticipated development and ridership. 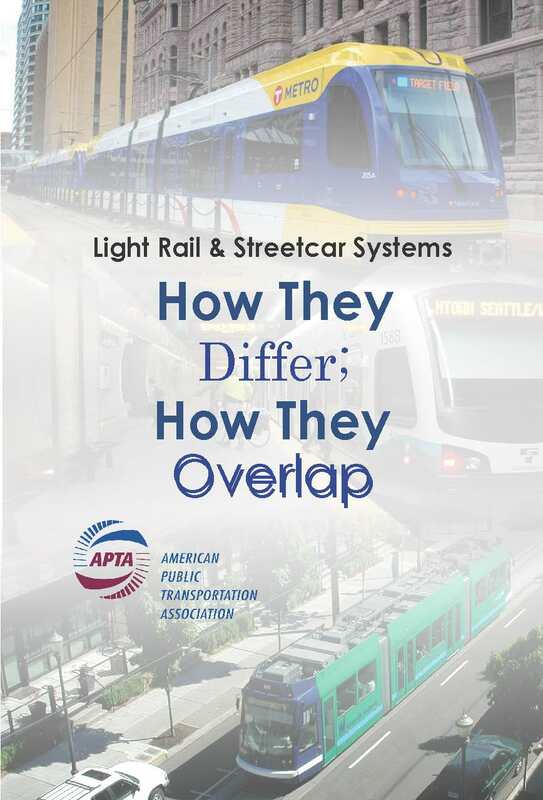 In October 2014 a joint effort of the Light Rail Technical Forum and Streetcar Subcommittee of the American Public Transportation Association published a brochure that explains the typical characteristics of light rail and streetcar systems. This brochure is intended to be a useful tool for civic leaders and the general public. Click the cover image below for access to the full report.